Please read and follow the instructions below to help you complete your online order. If you need further assistance give us a call. 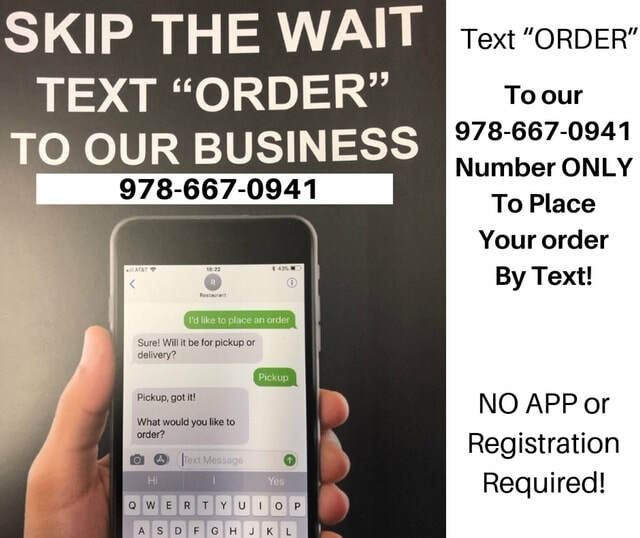 Text "ORDER" to our 978-667-0941 phone line and follow screen instructions. New easy way to place your order!! No APPS to download or Registration.